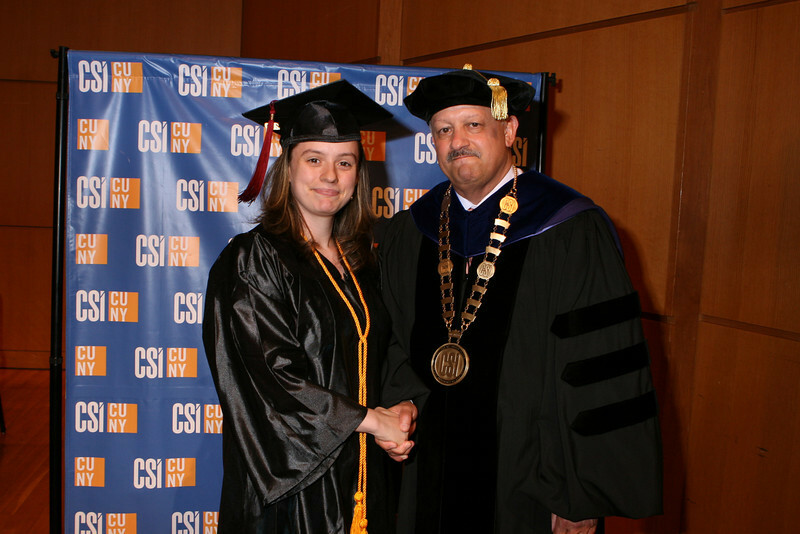 CSI honored its best and brightest recently as students, their families, and friends, and College faculty and staff gathered in the Center for the Arts Concert Hall for the Third Annual Honors Convocation. Vice President for Student Affairs Dr. Jerald Jones-Woolfolk was the event's emcee. After opening remarks from Provost and Senior Vice President for Academic Affairs, Dr. William Fritz, CSI President Dr. Tomás Morales, in his comments, told the honorees "your accomplishments not only further your dreams, but we can proudly point to you and say, 'these are the best of our students'. Your achievements reaffirm us--faculty and staff--the very reasons we have devoted our lives to public higher education." Photos by Bill Higgins.